Jennifer S. Balakrishnan is a number theorist working on explicit methods for curves. Her research is motivated by various aspects of the classical and p-adic Birch and Swinnerton-Dyer conjectures, as well as the problem of algorithmically finding rational points on curves. She is currently the Clare Boothe Luce Assistant Professor of Mathematics at Boston University. 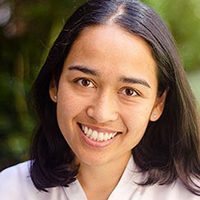 Previously, she was a Titchmarsh Research Fellow at the Mathematical Institute of the University of Oxford, a Junior Research Fellow of Balliol College, Oxford, and an NSF Postdoctoral Fellow at Harvard. Balakrishnan received an AB and AM from Harvard University and a PhD in Mathematics from MIT. settling a 200-year-old question of Euler. Elkies also proved that elliptic curves over the rational numbers admit infinitely many supersingular primes. He is famous for `extreme examples’ in number theory: elliptic curves with large rank, K3 surfaces with large Picard group, etc. Elkies has also contributed to algorithms for elliptic curves over finite fields, characterizations of efficient sphere packings, and tilings of Aztec dimanonds by dominoes. In 2017 he was elected to the National Academy of Sciences. 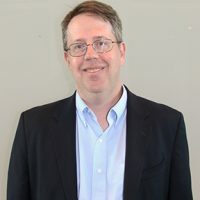 Brendan Hassett is Professor of Mathematics and Director of the Institute for Computational and Experimental Research in Mathematics at Brown University. He received his BA in 1992 from Yale and his PhD from Harvard in 1996 under the supervision of Joseph Harris. From 1996 to 2000 he worked as a Dickson Instructor at the University of Chicago, partly supported by a National Science Foundation Postdoctoral Research Fellowship. He was a faculty member at Rice University from 2000 to 2015 and chaired its mathematics department from 2009 to 2014. He has held visiting positions at the Mittag Leffler Institute in Stockholm, the Chinese University of Hong Kong, and the University of Paris (Orsay). Brendan’s research focus is algebraic geometry. His work has been recognized with a Sloan Research Fellowship, a National Science Foundation CAREER award, and the Charles W. Duncan Award for Outstanding Faculty at Rice. He is a Fellow of the American Mathematical Society. Bjorn Poonen received an A.B. in Mathematics and Physics from Harvard in 1989, and a Ph.D. in Mathematics from U.C. Berkeley in 1994. In 2008, after positions at MSRI, Princeton, and U.C. Berkeley, he moved to MIT, where he is the Claude Shannon Professor of Mathematics. Poonen is known for developing and analyzing algorithms aimed at determining the set of rational points of a given variety. But his theorems also demonstrate the limitations of known methods, and even show that certain related problems are undecidable. Poonen has received the Guggenheim, Packard, Rosenbaum, Simons, and Sloan fellowships, as well as a Miller Professorship, the Chauvenet Prize, and the MIT School of Science Prize in Undergraduate Teaching. 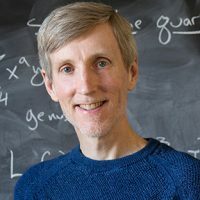 He is also a four-time Putnam Competition winner, a Simons Investigator, a fellow of the American Academy of Arts and Sciences and of the American Mathematical Society, and the founding managing editor of Algebra & Number Theory. He will deliver an invited address at the 2018 International Congress of Mathematicians. Andrew Sutherland received his S.B. in mathematics from MIT in 1990. 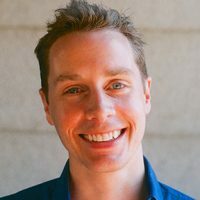 As an undergraduate, Sutherland co-founded the software company Escher Group, specializing in high-performance distributed computing, and after completing an NSF Graduate Fellowship at MIT, served as the company’s Chief Technology Officer for ten years. Sutherland returned to academia and completed his Ph.D. in mathematics at MIT in 2007, winning the George M. Sprowles Prize for his thesis. He joined the MIT mathematics department in 2009, and was promoted to Principal Research Scientist in 2012. 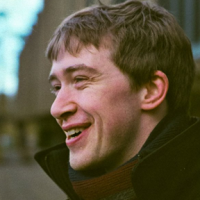 Sutherland’s research focuses on computational number theory and arithmetic geometry, and he was awarded the Selfridge Prize in 2012, for his work in this area. He currently serves on the boards of Mathematics of Computation, the L-functions and Modular Forms Database, and the Number Theory Foundation. 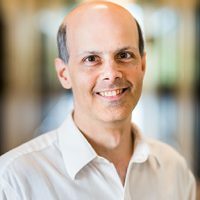 He is a managing editor of Research in Number Theory and current record-holder for the largest cloud-based research computation (580,000 cores). John Voight is associate professor of mathematics at Dartmouth College. He received his Ph.D. in 2005 from the University of California, Berkeley, and has held positions at the University of Sydney, the Institute for Mathematics and its Applications (IMA) at the University of Minnesota, and the University of Vermont. Voight’s research interests are in arithmetic geometry and number theory, with a focus on algorithmic aspects. His current research concerns computational problems for moduli spaces and automorphic forms. 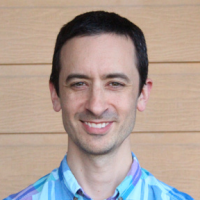 He is the author of a textbook on quaternion algebras (under review) and received an NSF CAREER award. He was the recipient of the Selfridge Prize in 2010 and currently serves on the board for the L-functions and Modular Forms DataBase (LMFDB). 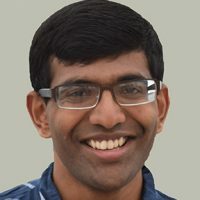 Vishal Arul is a fourth-year graduate student in the Department of Mathematics at MIT. He is studying number theory and algebraic geometry under the guidance of Bjorn Poonen. 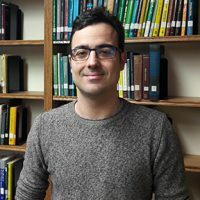 Eran Assaf obtained his doctorate from the Hebrew University of Jerusalem in 2017, will join the team in September 2019 as a postdoc at Dartmouth College. 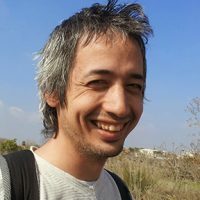 His main research interests are the p-adic local Langlands correspondence, Shimura varieties, p-adic representations of p-adic groups and computation of fundamental domains for arithmetic modular groups. Alex Best is a graduate student at Boston University working with Jennifer Balakrishnan. Previously he worked on highly optimized computer arithmetic at TU Kaiserslautern. Before that, he obtained a masters from the University of Cambridge and a B.Sc. in Discrete Mathematics from the University of Warwick, where his interests in computational number theory first began. 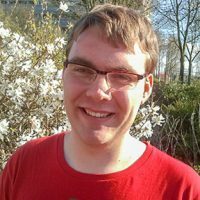 Raymond van Bommel is currently a research associate at Johannes Gutenberg-Universität Mainz, Germany. Before he obtained his PhD at Universiteit Leiden, The Netherlands, under the supervision of David Holmes and Fabien Pazuki. During this time, he worked on the algorithmic computation of the different numerical invariants surrounding the Birch and Swinnerton-Dyer conjecture, first for hyperelliptic curves and later for non-hyperelliptic curves. 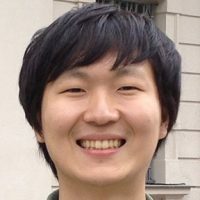 He will join the team at MIT starting from 2019. 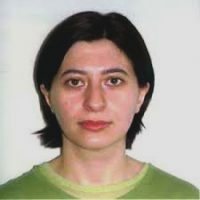 Alina Bucur is an Associate Professor at University of California at San Diego. She received her Ph.D. from Brown University in 2006 under the supervision of Jeffrey Hoffstein. After that, she held a position as a Moore Instructor at Massachusetts Institute of Technology (postdoc, 2006-2009) and had visiting positions at the Institute for Advanced Studies (2006-2007 and 2009-2010) and MSRI (2011). Her research interests lie in the area of multiple Dirichlet series and arithmetic statistics. 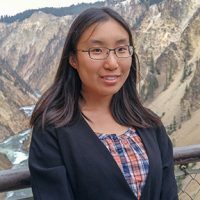 Her work combines techniques from analytic number theory, probability and arithmetic geometry and has been supported by two Simons Collaboration Grants. 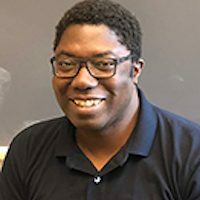 Edgar Costs received his Ph.D. in 2015 from the Courant Institute of Mathematical Sciences at New York University and was a Postdoctoral Fellow at the ICERM during the semester program “Computational Aspects of the Langlands Program. Costa’s research interests are centered around effective methods in arithmetic geometry, arithmetic statistics, and number theory. 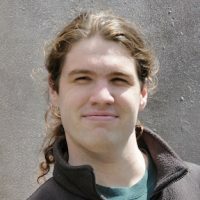 His current research is focused on the development and application of theoretical and computational techniques to study the interconnections predicted by the Langland’s program. John Cremona has been a Professor at the University of Warwick since 2007. After obtaining his DPhil under Birch at Oxford in 1981, he held positions at the University of Michigan and Dartmouth College in the US, and the universities of Exeter and Nottingham in the UK. John Cremona is best known for developing and implementing modular symbol algorithms and using these to compile tables of elliptic curves over the rationals, and has extended this work to compile similar elliptic curve tables over imaginary quadratic fields. 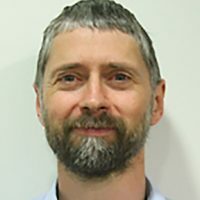 Since 2013, he has been PI on a major grant “LMF: L-functions and modular forms” from the UK EPSRC which has part-funded the computing infrastructure and workshops which underpin the LMFDB. Lassina Dembélé is based at Dartmouth College. 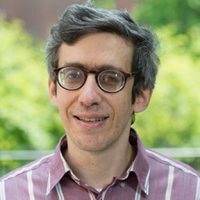 His current research interests are in computational number theory, Hilbert modular forms, automorphic forms, and Galois representations. Broadly speaking, his work is in the framework of explicit methods in the p-adic and mod p Langlands programme. 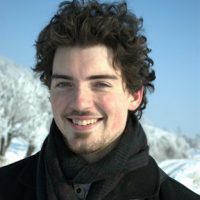 Maarten Derickx’s research interests lie primarily in computational number theory. His main focus is Galois representations of elliptic curves over number fields and the corresponding rational points on modular curves, as well as how a good understanding of these can be used in the modular approach to Diophantine equations and the modularity of elliptic curves. 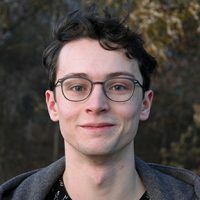 He has obtained his Ph.D. under the supervision of Bas Edixhoven at Universiteit Leiden in 2016 and was a postdoctoral researcher under Michael Stoll at Universität Bayreuth after this. 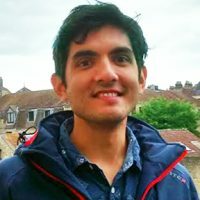 Netan Dogra obtained his doctorate from the University of Oxford in 2015 and is a postdoc at Imperial College London. His main research interests are Diophantine Geometry and arithmetic fundamental groups. 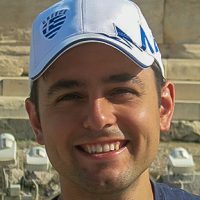 Francesc Fité is a member at the IAS for the current academic year. He obtained his PhD in 2011 at Universitat Politècnica de Catalunya. He has been a postdoc in Bielefeld, Essen, and Barcelona. His main research interests are number theory and arithmetic geometry, with special emphasis on the arithmetic and modularity of low dimensional abelian varieties. David Harvey is a Senior Lecturer and Australian Research Council Future Fellow at the University of New South Wales in Sydney, Australia. He received his Ph.D. from Harvard in 2008, and subsequently held a three-year postdoctoral position at New York University. 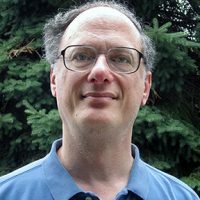 Harvey’s research interests include algorithmic number theory, especially computing zeta functions of varieties over finite fields, and symbolic computation, especially algorithms for efficient arithmetic on large integers and polynomials. Campbell Hewett is a second-year math Ph.D. student. His advisor is Bjorn Poonen. He received an Sc.B. in math at Brown University in 2015. His interests are in algebraic geometry and number theory. Kiran Kedlaya is the Stefan E. Warschawski Professor of Mathematics at University of California, San Diego. He received his PhD from MIT in 2000. He is a recipient of the Presidential Early Career Award for Scientists and Engineers, a Sloan Research Fellowship, and a Guggenheim Fellowship. 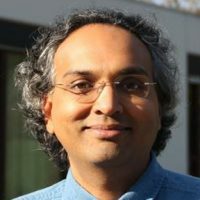 Prof. Kedlaya’s research covers a variety of topics in algebraic geometry and number theory, with some emphasis on the computational aspects of these areas. He has developed practical algorithms for computing L-functions of algebraic varieties using p-adic analysis, and for tabulating isogeny classes of abelian varieties over finite fields. He is a frequent contributor to Sage and the LMFDB. Dohyeong Kim is interested in the Iwasawa theory, Diophantine equations, and the arithmetic Chern-Simons theory. He has been a postdoctoral assistant professor at the University of Michigan since the fall 2016. Before that, he was a research fellow at the Center for Geometry and Physics for two years. Before that, he spent the graduate and undergraduate years at the POSTECH. David Lowry-Duda’s research interests primarily lie in analytic number theory, and in particular on automorphic forms and L-functions. During his PhD, he developed a new approach to study the size and behavior of automorphic forms. He has contributed to data creation for the LMFDB, as well as day-to-day maintenance. 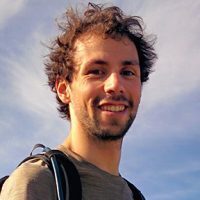 David completed his Ph.D. at Brown University in 2017, and is currently working as a postdoctoral researcher at Warwick Mathematics Institute. He will return to Brown to begin his Simons Collaboration appointment on September 1, 2019. 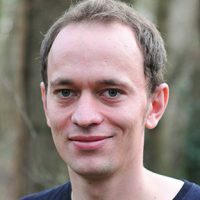 Steffen Müller is an assistant professor at the Unviersity of Groningen. He received his PhD from Bayreuth in 2010 and was then a member of the mathematics department in Hamburg and in Oldenburg. He is mainly interested in explicit methods in arithmetic geometry, in particular the use of archimedean and p-adic height functions to study rational points on curves and abelian varieties. David Roe’s study of p-adic computation includes work on computing L-functions of varieties, p-adic modular forms and methods for tracking precision. He is also interested in the local Langlands correspondence and p-adic tori. He contributes frequently to Sage, and helped create the LMFDB database of isogeny classes of abelian varieties. David received an S.B. in mathematics and literature from MIT in 2006, completed his Ph.D. at Harvard in 2011, then worked as a postdoctoral fellow at the Universities of Calgary, British Columbia and Pittsburgh before returning to MIT. Nicholas Triantafillou is a Ph.D. student being advised by Bjorn Poonen. 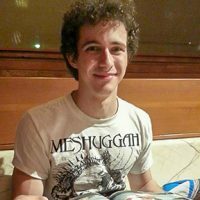 His main research interest is in arithmetic geometry, and he is currently working on a project to understand how powerful classical Chabauty’s method is when combined with restriction of scalars and descent techniques. 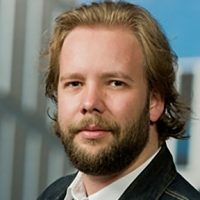 Jan Vonk obtained his doctorate from the University of Oxford in 2015 and is currently a postdoctoral fellow in Montréal at McGill University. His work focuses on p-adic aspects of arithmetic geometry and their application to explicit class field theory of real quadratic number fields. His main research interests include p-adic methods for studying the arithmetic of higher genus curves, as well as related computational aspects, such as the explicit determination of rational points. We are grateful for the support of the Simons Foundation. See the Foundation's, and Brown University's press release. View the Simons Foundation's Collaboration page for more information about the foundation and its collaborations.